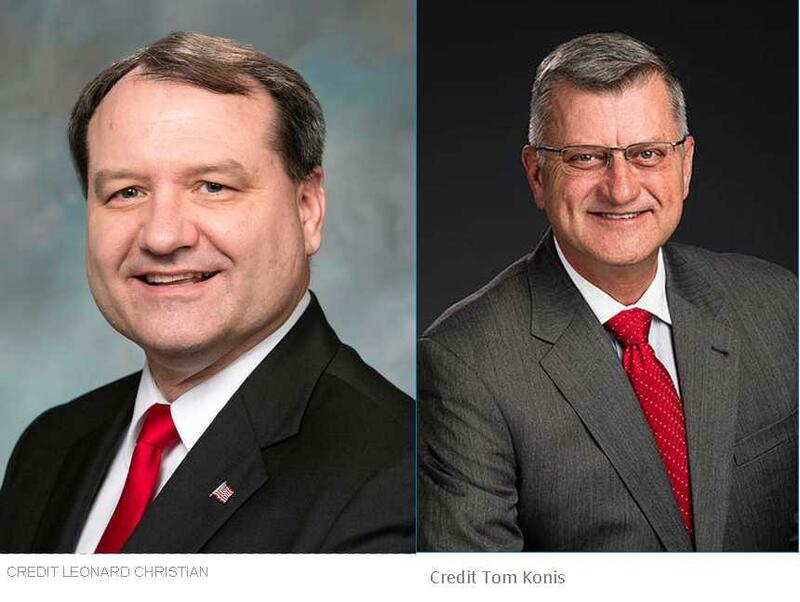 Leonard Christian and Tom Konis are vying for the Spokane County assessor's seat. Spokane County voters will see a new leader in the county assessor’s office, come next year. The incumbent, Vicki Horton, is leaving at the end of her term. One of her lieutenants is vying to replace her, as is a local realtor who once filled in for a year as a legislator in Olympia. Both are Republicans. Tom Konis started his career in the assessor’s office nearly 25 years ago. “My job is to place values on buildings and land that is then the basis of your tax bill,” Konis said. Sometimes there are no comparable sales, for example, at one of Konis’s assignments, the former Kaiser Aluminum complex in North Spokane. That makes the assessment a little trickier. And when the valuation is made, people who disagree with it sometimes make a trip to the courthouse to give the assessor a piece of their mind. Konis says that’s just part of the job, and he defends the role of the assessor’s office as a necessary part of the structure of county government. He’s served under several assessors and now, a quarter of a century in, with his latest boss leaving, he’s decided it’s his turn to give it a try. He says the assessor’s office is a professional office; its people require formal training, and it’s best run by someone who has had that training. Konis’s opponent, Leonard Christian, is also a Republican. He retired from the Air Force and went into real estate sales. He also served one year in the legislature as a replacement for former Spokane Valley state Rep. Larry Crouse. Christian was defeated when he sought to be re-elected to that seat. He says others had approached him in the past about running for assessor, but he declined because Horton, a fellow Republican, held the office. Christian thought it was a good fit for him, so he filed to run. He says the people skills he developed as a realtor will allow him to improve the customer service of the assessor’s office. Christian is a member of the county’s Board of Equalization, which considers tax appeals from property and business owners. He says Spokane County has one of the highest appeals rates in the state. He says that highlights the need for better communications from the assessor’s office. “I’ve been dealing with people’s issues a good portion of my life and I find that most people just want to be heard. They want to be able to sit down with you and be able to explain their issue and, hopefully, you’ll be able to resolve that," he said. Christian says he supports a full review of the appraisal process to make assessments more frequent and more accurate. Leonard Christian is one of two Republican candidates for Spokane County assessor. He and fellow Republican Tom Konis are squaring off in the August primary. Since they’re the only two candidates in the race, they’ll also run against each other in November. You can hear our full interviews here.